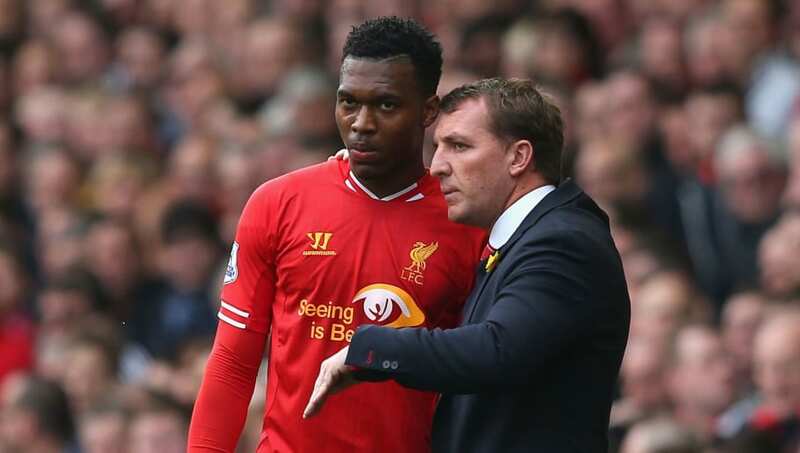 ​Leicester City have been tipped to try and reunite manager Brendan Rodgers with Daniel Sturridge at the King Power Stadium on a free transfer, with the England international expected to be released as a free agent by current club Liverpool at the end of the 2018/19 season. The prolific and unbreakable partnership between front three Mohamed Salah, Roberto Firmino and Sadio Mane has relegated Sturridge to the role of a fringe player at Anfield. That and his expiring contract could now open the door for a summer move to Leicester. A Daily Mail report notes the rumoured interest in Sturridge from Rodgers, with the Northern Irish coach said to still rate his former star. It was of course Rodgers who took Sturridge to Anfield in the first place in January 2013 and oversaw a remarkable 2013/14 season. Having taken over from Claude Puel in February, Rodgers will be understandably keen to put his own stamp on the Leicester squad ahead of next season and there will be changes that will open up space for new arrivals. The Foxes are expected to bid a summer farewell to veteran Premier League title winner Shinji Okazaki. The 32-year-old Japanese international, whose contract is up, has only started one league game this season and has failed to find the net in any of his 24 first team appearances. It would see Sturridge join 32-year-old Jamie Vardy and 22-year-old Kelechi Iheanacho as Leicester's central striker options, providing a good blend of youth and experience. Sturridge, whose 21 Premier League goals under Rodgers in 2013/14 remains by far the best of his career to date, has only started twice in the league for Liverpool this season. Injury was responsible for crippling his 2014/15 campaign, limiting the player to just 18 appearances and five goals in all competitions after his career year the season before. But he has been injury-free in 2018/19 and is only lacking the opportunity to rediscover his form of old. Regular game time at Leicester, or indeed elsewhere, could be the platform he needs. Having not represented England since 2017, Sturridge lost his battle to play his way in to the 2018 World Cup squad after a failed loan at West Brom last season. His international career is not over, though, and with Euro 2020 culminating at Wembley next year, the goal of breaking back into the Three Lions squad is attainable if he's regularly playing and scoring.